Effective for Fleet washing steam cleaning and De-greasing. Does not harm most surfaces yet has a deep penetrating action. Safe on automotive finishes, it eliminates the need for rinsing. Non-flammable and contains bio-degradable surfactants. Can be diluted up to 50 parts with water. Backed by years of industry experience, we are engaged in offering a premium quality range of Areno Car Wash Shampoo. RYPH Car Shampoo Siliconized. RYPH Car Shampoo Siliconised not only clean the car but it shines also. Ryph Car Shampoo Siliconized rich in leather foam. It's value for money. Skin: Safe on hands. It can also use as a hand cleaning liquid. Aeroshot Car Shampoo is specially formulated to clean and restore the original gloss of the car which tends to get damaged everyday due to extreme Indian Climatic Conditions. Available in 200ml bottle. Gujral Polish & Lubricants offers Car Shampoo. This is a premium quality car shampoo with unique combination of superior detergents and waxes. This deep cleans car paintwork while adding active wax protection in a single wash.
We are engaged in offering wide range of Car Shampoos. This shampoo is made of premium quality ingredients, does not harm the human skin, paints and the metal of the cars. The shampoo we produce is efficiently used for cleaning oily and greasy dirt of the car or any other vehicle. 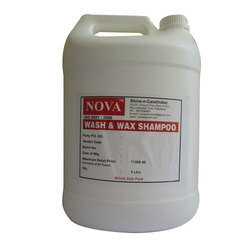 Moreover, we offer this range of shampoos at market leading prices. 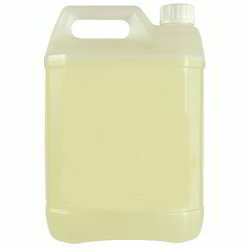 Higly concentrated liquid for car other vehicle wash.
Niks Car Wash Shampoo bulk Quantity. Direct supply From Company. Minimum Quantity 35Kg. Best in Foam in Gun Spreay and Gives Great Shine After Wash. Just add 10 ml shampoo in 1 Ltr Water for Gun spray and 45 ml in Half Bucket for Manual Wash.
- Any car or bike whold love to be washed with Auto Light vehicle shampoo. Unlike your regular house hold detergent and dish washing soap, the vehicle wash shampoo is formulated to wash out the dert while protecting the paint work. - Inside the box unit. each box having 100 piece of 12ml shampoo pouch. Concentrate for intensive car washing. - Quickly dissolves dirt on the surface of the car body. - Suitable for washing all types of painted and lacquer-coated surfaces.